The Harvard Business Review is not the first place you’d go to for advice on telling stories, but that is exactly where I found a great article by Peter Guber. Guber is a long-time movie producer whose credits range from Flashdance to Rainman, Batman Returns to Tango & Cash, so he’s not exactly your usual HBR management geek. As an executive producer, he’s someone who's had to make the call on whether a story works or doesn’t, so his article struck a chord with me. His ideas aren’t based on abstract theory, but on whether real live people are going to shell out cash for your story. Guber’s article is behind a subscription wall, but I think his four truths about what makes a great story are useful whether you are pitching an idea for a website, reporting results to the Board or inspiring staff to work up to the next level. Truth to the teller. Yes, authenticity again. Show and share who you are with an open heart. Truth to the audience. It’s Value for Time. They give you their time on the understanding that you will give them emotional value and personal insight. Truth to the moment. Be prepared and then – improvise. The preparation will ensure you don’t lose focus. The improvisation will make sure you don’t lose your audience! Truth to the mission. Don’t even try to inspire people to do something you don’t believe in yourself. They won’t believe in it either. In my book, sisomo: The Future on Screen, I wrote a chapter on stories and storytelling. The status of stories is transforming. Their ability to inspire people and connect with consumers is putting them at the heart of business. I’ve often quoted Rolf Jensen of the Dream Company that “The highest-paid person in the first half of the next century will be the ‘storyteller’.” That’s a prediction to make people pay attention! In sisomo, I had 12 ideas about what makes a great story. Great stories touch us. They connect with our own desires and experiences and what we care about. Great stories are contagious. The itch to pass on a great story is almost unbearable. Stories have to be shared. Great stories are cloaked in credibility. They make practical sense, intuitive sense, emotional sense. Great stories connect with the emotions. Genuine, compelling emotion drives every story. Great stories surprise and delight. They are infinitely capable of the unexpected. It’s not just about novelty and revelations but also creativity and emotional truth. Great stories have context. Whether it’s a fairy tale or a business lesson, stories weave facts and events together so we understand their larger meanings. Great stories are fast workers. They get in ahead of our rationalizations and logic with their own compelling truth. Great stories are crafted. We all like stories to be recounted with skill and effort. Great stories make us laugh. Humor disarms us and opens us up to new ideas. Great stories teach us to be smart. Through great stories we learn to spot disinformation in an instant. Shoddy stories reinforce prejudice and hide the truth. Great stories introduce us to great characters; people we want to spend time with. Great stories open us up to other worlds. Welcome to the world of the imagination, to new geographies, to new realities. Flight Of The Conchords - Broke, Bumbling & Brilliant! One of the most unlikely cult hit shows in the US this season has been the Flight of the Conchords. Bret Mackenzie and Jemaine Clement are two bumbling, hilarious Kiwis trying to make it in the Big Apple. They bring to life the pragmatic, laconic, but hopelessly inadequate side of everyday New Zealanders attempting to make it in the big wide world. The humor is real down home New Zealand; the kind you see at every University, every pub, and every rugby game back home. These two guys are broke, struggling, inept, bumbling and accident prone in the extreme. They get taken for rides, dumped, mugged and stalked. It’s on HBO and shouldn’t be missed. And to make the story real, in real life these guys actually do struggle back home. They’ve made it in New York, but not yet in New Zealand. I was in Orlando for the weekend for a USA Rugby Board Meeting. Nigel Melville, ex-England captain and Director of Rugby at Wasps, has had a fantastic first year as CEO of USA Rugby. He has really established a foundation for growth. The Board has also pulled together well and made a real contribution, working with tons of passion and in total harmony. What a change from most businesses! We wrapped up after a very productive 6-hour session and I was left with Saturday afternoon and Sunday in Orlando. This was not as bad as it sounds because I was staying at the Ritz Carlton, which delivers first class quality experiences wherever you go. I retired to the Club Lounge for a 6:30pm Heineken and reading that morning’s Wall Street Journal, when I was amazed to see on the front page an article on the new Ritz Carlton campaign. It is a series of short films created by Chris Graves, our Creative Head at Team One, Los Angeles. The films were all 4 to 10 minutes long and designed to demonstrate that the Ritz Carlton was aspirational quality but also good fun. It is along the lines of - if someone comes into our bar dripping from the pool barefoot and wet, well that’s not very Ritz Carlton, so we give him a bathrobe and slippers and serve him a nice cold Heineken. That’s the new Ritz Carlton. Chris and his team do a great job on Lexus so it was fantastic to see them getting such terrific press with such an innovative media idea and smart positioning terms for another luxury brand, the Ritz Carlton. That took care of Saturday night. So how about Sunday? Well, you guessed it. A 20-minute ride to Disney World. I haven’t been to the Magic Kingdom for all of 13 years. I went there 7 or 8 times when the kids were younger, and just couldn’t resist checking it out one more time. Of course, I went on Pirates of the Caribbean, Splash Mountain, Big Thunder Mountain Railroad and Space Mountain, and had a blast. The whole place was full of parents, kids, teens, pensioners, people my age, all having a ball. The cast members were still just as enthusiastic and full of life, and the guests all seemed to be high on adrenaline and hope. It’s a peculiarly American phenomenon that I think really captures the classic American way. I guess it’s easy to scoff at and feel superior, but I was there for 4 hours on a hot, sunny day – 82 degrees in early December – and I really enjoyed it. It was all about hope, imagination, inspiration and family fun. And now that Stella’s come along, I’ll have many more reason to return. P.S. I’m also pleased to report that the old favorites, It’s a Small World and The Mad Hatter’s Tea Party are still thriving. One thing I know is we’re not going to get a better world by bossing people around. That’s why business needs to take a lead in our search for sustainability. Rational laws, sensible regulations and well thought-out policies have their place, but they ignore one huge fact. People run on emotion. Intuition and gut feeling are how we pick our way through life. We find ourselves attracted to this and repelled by that. If you’ve picked up a newspaper or magazine in the last six months, it’s becoming absolutely clear that just being responsible is no longer enough. Today we have to become inspirational. We have to attract the heart as well as the head so that people want to make the choices that make a difference. In a competitive market where the struggle for differentiation is relentless and everything is at parity, percentage points matter. Just 10-15 percent of consumers need to make choices guided by sustainability to have a massive impact. Our challenge as sustainable enterprises is to inspire consumers to make such choices. That’s one of the reasons I’m such an advocate of design. Take this brilliant transformation of the Plain Jane, long-term light bulb by Hulger, a small electronics company based in London. Tell someone about the energy savings they’ll make with long-term light bulbs and they may buy one to shut you up – and put it in the laundry. Design a long-term bulb that they love and they’ll buy them for life. These stunning prototypes are just waiting for an inspired manufacturing partner. Last week at the Holiday Inn Woking, the great and the good of the IRB decided to maintain the current Rugby World Cup format of 20 teams. This was a major turnaround from the thinking before the World Cup when it was all but a done deal to cut the number of teams from 20 to 16. This would have been a terrible move for developing nations. It would also probably have meant that teams such as Japan, the US, Canada, Georgia, Romania and even Samoa, would have to fight to qualify. Luckily the performances of these teams at the World Cup was very strong, and with support from players, fans and the media, it won the day. There was terrific support from journalists around the world led by the nemesis of New Zealand rugby, Stephen Jones of The Sunday Times. The UK, France and New Zealand also passionately supported it. Nigel Melville, USA Rugby CEO, attended the conference along with John Kirwan representing Japan. I think they both did a terrific job in explaining why a 20 team competition was great for the game. This is a progressive forward thinking move by the IRB, and one that will be supported by rugby lovers throughout the world, particularly those living in developing rugby countries. Led by Argentina and Fiji, the developing nations of Samoa, Tonga, US, Japan, etc., now have 4 years to show the IRB that their investment is a good one. All these nations need to put together their high performance programs, get some new competitions going and raise the level. Then come 2011 in New Zealand, a couple of these sides can beat the Tier One nations and qualify for the knockout stages. As far as the US is concerned, we are about to embark on a very important stage in our development. At our recent board meeting, we committed to turn a nucleus of elite players professional, and to appoint a world class, high caliber Eagles coach for a 4-year term leading up to the 2011 World Cup. We’ve spent the year bringing on board some top sponsors and we are within spitting distance of generating enough revenue to make our first step into professionalism. And we will do it without, in any way, shortchanging the grassroots game which is the foundation of rugby in the US. The next 100 days will be vital as Nigel and his team attempt to squeeze another million dollars from the budget. By doing that we can make the next key step in bringing the US into top tier world rugby. Exciting times. Peter Menzel creates incredible books. In Lovemarks: The Future Beyond Brands we featured photographs from Material World: A Global Family Portrait. Peter had travelled the world and taken photographs of people with all their worldly goods arranged outside their homes. If a picture is worth a thousand words, some of these were knocking at the 100,000 words level. Now Peter and his wife, Faith D'Aluisio, take another slice of global life with Hungry Planet: What the World Eats. Published last year, its relevance just keeps increasing. This time, Menzel photographed families with what they ate in one week. Just as in Material World, the results show how compellingly different and intimately local we are even when we are doing the same thing: nurturing our families. Menzel’s startling images illustrate the huge gaps between people who have resources and those who have very few. He is not simply pointing up inequalities, and certainly not suggesting that the more you have, the better life you lead. I suggest he is asking us to respect all these different families on their own terms and to learn from them. In other words, to observe with empathy and to be touched by others’ reality. From the German family’s line-up of packaged goods (weekly expenditure of US$500.07), to the harvest festival of fruit and vegetables of the Mexican family (weekly expenditure of US$189.09) to the sobering reality of the Aboubadar family in Chad (weekly expenditure of US$1.23), the food on which we sustain ourselves speaks the truth about who we are and what we desire. Well, I’m not 70 yet, although it felt like it was when I was in Ecuador, but I spent last weekend in Grasmere with one of my oldest and best friends, Joe McCollum. We ended up at 3am on a cold but crisp wintery morning sitting on a David Truebridge bench in my garden. We were overlooking 'The Lion and The Lamb' in Grasmere and reminiscing about the past 25 years. Together, we remembered those glory days. And, fueled by some Becks and local Bluebird Bitter (named after Donald Campbell’s beautiful but ill-fated speedboat which crashed on nearby Lake Coniston 40 years ago) we were also sharing our dreams for the next 25. Joe is a remarkable guy. Of good Irish stock and one of 7 or 8 brothers, he trained to be a priest but was kicked out early for good behavior. He hooked up with Kate and then pursued a series of adventures: working for a hospital in Saudi Arabia, buying a bar in Bangkok, and ending up as my HR Director at Pepsi in Cyprus. After that, he did an MBA at Columbia, which is not too bad for a young Brummie Irish boy, and was elevated to a top HR position at PepsiCo HQ in Purchase, New York. From there he joined me on my New Zealand adventure by heading up HR for Lion Nathan. Together, we moved the company from a domestic New Zealand brewer into a peak performing Australasian operation. Much of New Zealand business today is run by Lion Nathan alumni brought in and nurtured by Joe. Joe went on to greater glory in ICI and EMI and also works with me in our purpose-driven, Peak Performance leadership company, Inspiros. Kate stuck with him all the way (through thick and thin) and through Joe’s nomadic wanderings. She gave him 3 terrific kids; my goddaughter and brilliant musician Lizzie, the wonderful warm Amy who is training to be a chef and just passed her grade 2 National Qualification on Friday, and the energizer himself, Mr. Perpetual Motion, young Rory. On Thursday, Kate joined us, and after reminding all of us of our past misadventures, left the two of us together all day Friday and Saturday morning. On Friday night, we went to another of those Lakeland pubs, The Mason’s Arms at Strawberry Bank. It’s a 700-year old pub that has now become a cozy eating house complete with its original crooked floors, low hanging ceilings and beams. You know you’re in the right place when they serve you black pudding and poached egg on a bed of local mash as a starter! From there it was a short journey to a steak and ale pie with Joe opting for the liver and bacon. Well done, of course. Two bottles of Chateauneuf du Pape to wash it down and it felt like we had just put on a battered old sweatshirt, a pair of track pants and some 5-year old floppy sneakers. At The Mason’s Arms I saw an old plaque that read, “Some friends are new, some friends are old, new friends are silver, old friends are gold.” Cheers, Joe! Some symbols are just so powerful you can’t get past them. Take the auction at Sotheby’s last month of Jeff Koons’s gigantic stainless steel sculpture 'Hanging Heart', from his Celebration series. The price? $23.6 million. That makes Koons the most expensive living artist in the world, and I guess, 'Hanging Heart', at 9 feet tall and more than 3,500 pounds, the most expensive heart. I have just bought three much smaller heart sculptures by Mackenzie Thorpe, an artist who works in the UK. They are sculptures of small people and tell the stories of their lives, their joy, despair, love and sorrow. Then in Miami a couple of weeks ago, I saw that the Miami artist Britto was having an exhibition. The main piece on show? A 6 foot heart in his trademark brilliant South Beach reds and yellows. As if that wasn’t enough, in Orlando the other day I look up and there is a skywriter, his cloudy script forming the word LOVE. As the songs says, “love is all around”. Back in the early days of Lovemarks, I asked people to go easy on the heart symbol. I didn’t want Lovemarks to be overwhelmed by the flowering of a thousand hearts. What was I thinking? Trying to control the break-out of hearts is like trying to lay down strict guidelines for what you’re allowed to feel. Even with all the excesses of Valentine’s Day, the heart is still capable of some heavy emotional lifting. The hearts in your life might not be in the $23.6 million stratosphere, but then again, I can guarantee that their power lies in the connections they make for you, not their price. A heart cut from paper and placed with love on your pillow costs nothing and yet its emotional pull is irresistible. No wonder hearts have won a place at the center of Lovemarks. Who wants to be a CMO? Life in Elizabethan England was memorably described as nasty, brutish and short. While this might also describe one of my competitors in global advertising, it is also a perfect description of the life of a Chief Marketing Officer. Tenure has now reached an all time low in the US. Twenty-six months in the job and you are gone. This short-termism is the bane of my life. It means we are constantly dealing with newcomers who have no knowledge of the business they are in. They also don't have a clue about their brand narratives and legacy, their consumer or how to get things done in their own company. The biggest single rupture in an agency-company relationship is driven by the arrival of a new CMO trying to change everything whilst knowing nothing. Wall Street obsessed CEO’s are driven by quarterly results and yet have very little feel for the new, rapidly changing Consumer Republic. It is a world where most of the marketing techniques they learned years ago are of no use whatsoever. With the consumer as boss, the mass market approach of yore - driven by research, precedent and sheer weight of spending - is no longer a panacea. The bean counters are obsessed with ROI and measurement. The trouble is that it’s emotional connectivity which is driving success, and emotional connectivity is very hard to predict and to measure with today’s archaic tools. Consumers are moving faster than companies, faster than CEOs, and CMOs are finding it hard to keep up. Add to this the fact that almost everybody you know (without any substance whatsoever) has strong opinions on marketing and advertising. You see the dilemma. 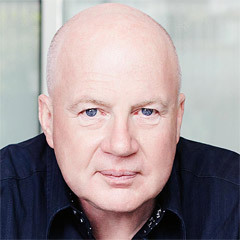 John Costello, who I worked with at P&G, PepsiCo and Pay By Touch, and was also CMO at Home Depot, Sears and Yahoo!, can go on for hours about the constant second guessing CMOs have to put up with from every quarter. You don’t see people discussing the options CIOs or CFOs put in place; but everyone’s a marketing expert. Building a brand is a long-term process that requires inspiration, intuition and vision. It’s incremental, as transformational changes need to come into play. Above all, it requires patience, flexibility and a long-term point of view. Of course this is completely at odds with most CEO’s fixation on short-term results driven by the short-term demands of market makers and traders. Successful companies like P&G, General Mills and Toyota take a much different view. Their top marketing chiefs are given time, support and the tools to build brands and to get the job done. This is what sets these great, sustainable, long-term companies apart from the mass. So if your mate is a CMO, buy him a beer and give him a hug tonight. While the All Blacks and USA Eagles have been going through a process to find a new national coach for their premier rugby sides, England has been thrown into deep despair by their inability to qualify for the European Football Championships in 2008. This will probably cost the English economy around £2 billion and has really shattered the nation. The so-called 'Golden Generation' of players have been over-hyped and have under performed for 3 years now, but this is the final embarrassment. Failing to qualify against Croatia, Israel and Russia is pathetic for these high priced prima donnas. To top it off, Steve McClaren was fired and walked away with a payout of £2.5 million. I find this appalling. The whole FA should resign on the spot. Putting this nincompoop in charge was never going to work. He was a classic #2 and Blind Freddy could see that he didn’t have the leadership, imagination or inspirational qualities for the #1 job. At best he was a solid #2, but leading England in soccer is as important to that nation as the All Blacks coaching job is to New Zealand. I was never a fan of McClaren’s predecessor, Sven-Göran Eriksson at an international level as I believe he did not understand English players and how to get the best from them. He has been a tremendous success with my club, Manchester City (much to my amazement) because he has put together an impeccable defence, some great ball players and a very sound strategy. That said, he only has four English players on the side, so he’s done it with Continentals and South Americans whose mentality he understands. The Premier League and English players are a different breed. They are generally working class boys who have focused on football for most of their lives and not much else. What they do have is national pride and patriotism; what they don’t have is the ability to innovate and to strategize. They need a coach who can communicate a simple game plan based on stamina, running, determination and grit, someone who can inspire the players to commit themselves totally to the cause. The job also needs someone with a sense of humor and a sense of theatre to keep the cynical English media on board - or at least on the hop. Now the papers are all about another foreign saviour: Luiz Felipe Scolari (the Brazilian), Rafa Benitez (a Spaniard), Jose Mourinho (a Portuguese), Marcello Lippi (an Italian), Fabio Capello, (another Italian), Juergen Klinsmann (a German) and Martin O’Neill (an Irishman) are all in the frame. But what the FA should do is give the job to Harry Redknapp. He is a straight talking, optimistic English football man with passion and joy in everything he does. He understands English players and knows how to get the most out of limited resources. He knows football is a very simple game made unnecessarily complicated by too much analysis and over thinking (a bit like business really). Players would play for him, the media would never be short of a story and we’d have an English football man in charge at last. Having spent many years in the Middle East, I can’t forget what our highly packaged world has lost in terms of Mystery, Sensuality and Intimacy. The rise and rise of stores like Whole Foods and Trader Joe’s seems to reveal our growing desire to connect more sensually with food. That means being able to see it and smell it, as well as touch and taste it – once the hygiene inspectors have given the nod. The French understand. Sociologist Claude Fischler from the French National Center for Scientific Research asked a typically French question, “If you are what you eat and you don't know what you're eating, do you actually know who you are?” For retailers, letting us get closer to the food we eat is not easy. How do you remove as much packaging as possible to give shoppers a better idea of what it is that they are going to eat, and run an efficient operation, keep costs and waste down, and end up with the manufacturers still talking to you? Ten years ago the answer was easy. Packaging was about operational efficiency. It was a bit of appeal on the side and went unchanged for years. Everyone said shoppers liked it that way; it helped them find what they were looking for on the shelves. Then design entered as a competitive differentiator and all that logic was abruptly thrown out the window. Suddenly manufacturers didn’t back off from packaging that winked and blinked, made noises and smelled great. Packaging went into constant Beta. There was sure to be an even better idea out there somewhere. I love the buzz around design and the store, but have a warning as well. Winners aren’t fixed on grabbing attention with the latest gimmick. They are passionate about attracting shoppers with understanding and engagement, meaning and empathy. It's about fantastic packaging that makes people’s lives better, more fun and easier. Note: this is my column for NZ Rugby Monthly. Because of publishing deadlines, this was written five days before Graham Henry and his coaching panel finally decide to reapply for their jobs. So despite the deadline reality, I’m going to have to risk writing about what might become a non-issue if the incumbents decide not to stay - and if so, Robbie Deans is the standout candidate. He has made a commitment to run, his record is impeccable, he’s been there before and he’s head and shoulders above any other competitor. Warren Gatland and dark horse John Kirwan are building experience overseas and will come back into the running post 2011. The downside of the coaching decision to New Zealand rugby is absolutely nil. We either continue with what I consider to be the best-in-world rugby coaching panel today (particularly now that Jake and Eddie have left the Springboks) or we go with a zero risk option in Robbie Deans. A decade ago, I was on the Board of the New Zealand Rugby Union, and in 1998 there was a rebellion at board level about John Hart’s performances that season. There was strong movement on the Board to ditch Hart and convince Deans to take the reign with 12 months to go before the 1999 World Cup. It went down to the wire to a single vote and the Board was split with the majority keeping Hart in place. The passion and vitriol generated during this episode was staggering to watch. It became very personal and I can see the same thing happening if the incumbents choose to stand. In my experience, nobody sits on the fence on this kind of issue. Everybody on the Board will have very, very strong points of view, and it will make for a gladiator-like spectacle; unfortunately, taking place behind closed doors and not at the coliseum. There has been a lot of criticism in the press about the NZRU going to a review. To me, this is naïve and unfounded. Rugby is a business as well as a sport. NZRU has an obligation to all stakeholders, including players, coaches, sponsors and partners, to deliver the best All Black team possible and deliver a team that can win every game. This is vital to the development of every aspect of rugby in New Zealand, and nothing is more vital in that mix than the coaching. NZRU are doing what every strong business board would do. They are taking time to consider all the facts, all the evidence, and to study the cases of top contenders to see who is best equipped to move us forward. They will judge which of the contenders' approached is most likely to deliver success on and off the field for the All Blacks, and thus generate a strong trickle down effect for the rest of the game. I am sure they will go into the process open-minded and hoping that one contender will blow them out of the water with a plan they can believe in. 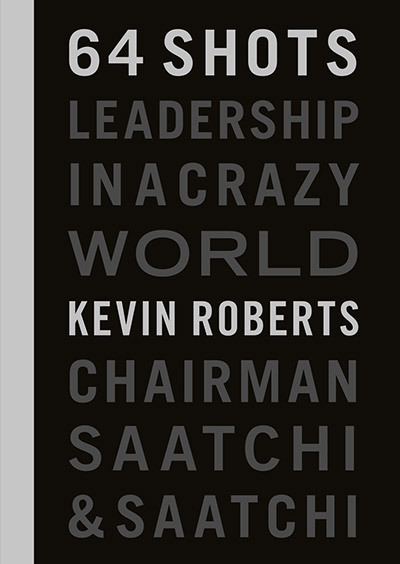 Critical to Saatchi & Saatchi are three things in business: responsibility, recognition and joy. The current All Blacks coaching team took responsibility, they stood up and were given plenty of recognition, and they delivered great joy to us until that fateful day in Wales. We should not forget that 42 out of 48 test matches were won, the Lions were annihilated, that brilliant grand slam in the UK, the Bledisdoe Cup has been retained for the last four years and the Tri-Nations victories in ’05, ’06 and ’07. Nor should we forget the players they discovered, the initiatives they took and the brilliant rugby they played so often. The trick now is to see whether they have learned from the disaster in Cardiff, and whether they have a new plan in place which will deliver a similar kind of win record and put us in place for victory in 2011. It will be particularly interesting to see how they plan to deal with the breakup of their team through age and the exodus into Europe. Robbie Deans will stand on his Crusaders record, his time with the All Blacks with John Mitchell (which was much more successful than people recognize) and his go-forward plans. At Saatchi we believe, “fail fast, learn fast and fix fast”. We failed in Cardiff. Have the current panel learned? Are they ready to fix the issues immediately? In the past, England and Ireland have gone down the road of accumulated experience being crucial and England saw success when Woodward turned one campaign’s failure into success in 2003. Ireland’s decision on Eddie O’Sullivan has yet to be proven. I really hope Graham and his panel signal their intent to stand as this gives the NZRU two fantastic choices. It also demonstrates to the public that the current trio value the job and the experience, and are willing to fight for what they believe in. Full credit to Robbie Deans for turning down motor-mouth across the ditch. The USA Eagles are also on the hunt for a new coach. Our own Peter Thorburn did a fantastic job for us, guided initially by Alan Solomons and then by Nigel Melville, lifting the USA to four of their best ever Rugby World Cup performances. We have delayed our closing date for applications as we watch the NZ scenario unfold (funny that), but we’ll be appointing a top class, proven leader before the end of the year. We’ve had a lot of interest from the highest profile coaches who feel that the chance to bring USA Rugby into the top tier of nations is real and a once in a lifetime opportunity. They like our governance structure, our clean reporting lines, our speed and the raw talent of our athletes. Living in Boulder, Colorado doesn’t hurt either. I believe that inspiration is the one certain way to transform business. It’s about being the best you can be, stepping up and being determined to make a difference. The challenge today is not just to be inspired by your own ideas, but also by the ideas of others. The people you want to connect and communicate with, sell to, build relationships with. You have to understand what thrills and attracts them, be able to delight them with your commitment, empathy and passion, and to learn from them so you can find exciting new opportunities. The great thing about inspiration is that it can appear anywhere. I was reminded of this when a friend from New Zealand sent me a newspaper article about a woman called Ruby Fowler. It seems that Ruby has put together a clothing business that has become an instant Lovemark. The numbers are still small, but through her intense empathy with the people who buy her garments, she is quickly building up a business that is filling an important need. The kicker is that Mary is 88, and many of her customers are in the same age range! Mary not only saw that there was a gap in the market for attractive clothes for older women, she did something about it and inspired others to join her. The truth is you don’t have to wave your hands around and put gel in your hair to inspire people. What you do have to do is understand what attracts them and create things that are meaningful in their lives. Let’s pop a cork to Ruby Fowler, Inspirational Player. Dateline: November 24, 6:46pm, Rome. My eldest son Ben and his partner Clarissa are walking on air. Baby Stella was born within 24 hours of her predicted due date. She was 3.3kg, 51cm and beautiful. She was also born on our friend, Richard Hytner’s, birthday. Richard immediately texted me with the news that she was destined to become a Red, a Manchester United supporter like the deluded Mr. Hytner. Fat chance. She’ll be Roma and Manchester City! Stella is Ben and Clarissa’s first baby, and our first grandchild. Rowena was at the birth, my daughter Rebecca has flown over from New Zealand, great-grandma Rita is on the scene, along with Auntie Julie and Tio Pedro. Annette Ettorre and Andrea were also there for the birth, giving Ben love and reassurance from his Italian family. The hospital has been inundated with Clarissa’s family and friends, and of course, her proud mother, Patrizia. There is nothing the Italians like more than babies and family. So, a red letter day for the family and a life changing moment for Ben and Clarissa. The sun shines brighter today!